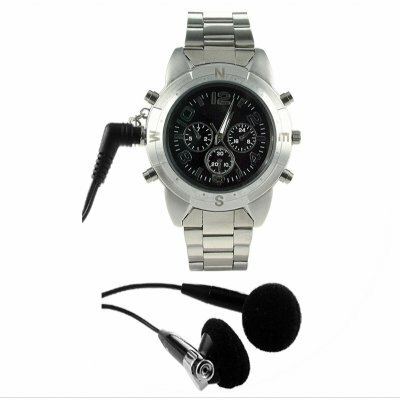 Successfully Added Watch MP3 Player 1GB - High Quality MIC + Line In Recording to your Shopping Cart. Fashionable metal watch with a hidden built in 1GB MP3 player inside as well as a high quality MIC for audio recording and a audio Line IN. With the great looking gadget watch you will be listing to MP3/WMA/WAV music while at the same time impressing friends with your high gadgety fashion sense. A perfect low weight item for single orders or large bulk shipping, and available direct from China to your door. Please note, small dials on watch face are non-functional / aesthetic only.